Produktinformationen "Korean Children`s Stories and Songs"
Hollym released a revised edition of Korean Children’s Stories and Songs which its first print published approximately 35 years ago. This steady seller contains three stories of famous children’s book writers in 1950-60s: Kim Yo-sup, Lee Hyun-ju, and Yoon Suk-joong. 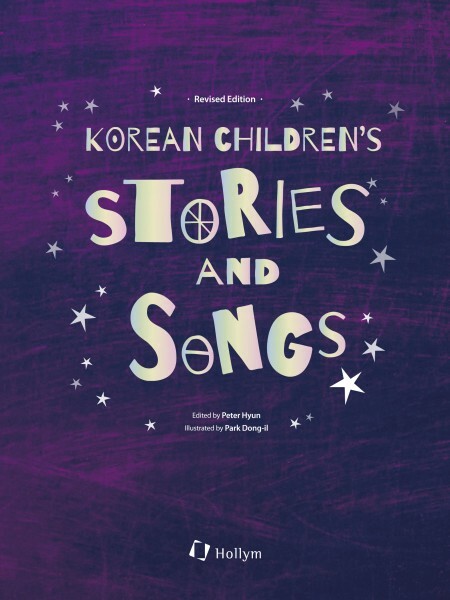 It also includes nine songs and poems which Koreans sang and listened to growing up. In the first story, “The Flower-Eating Locomotive” by Kim Yo-sup, the locomotive uses flowers as fuel, so it emits the fragrance of flowers instead of smoke. The border is ringed round with the roses, and people in this country have warm heart. The story reflects the reality paradoxically after Korean War and contains the yearning for peace. “The Dancing Village” by Lee Hyun-ju, is about a young boy named Cheoyong who has a talent for dancing and has a dream of being noticed and famous in the world. Unfortunately, he met a tragic and untimely death. Only the villagers were keeping his memory. The story shows how the dignity of human being was devastated under rapid urbanization. The third story, “Ten Fingers” by Yoon Suk-joong is composed of an amusing anecdote about a young boy Yeongi who got hurt his one finger. For example, Yeongi couldn’t tie a shoestring, or he spilt teacher’s ink on the desk. Reader could sympathize with the young boy and the situation. Especially the personified ten fingers stimulate reader’s imagination. Nine songs and poems also have been very popular since 1920s in Korea. The works such as “Springtime Outing”(bomnadeuri) by Yoon Suk-joong and “Half-Moon”(bandal) by Yoon Kuk-young were made to give hopes and dreams to the blossoming children in the tragic situation of war. The book included these songs, poems, and stories which have been beloved for a long time in Korea, so it is to be recommended for men and women of all ages. Reading the book which includes Korean sentiment is a great way to learn Korean people and its culture. The fabulous colored-pencil illustrations are another attraction of the book. He was born and raised in Hamhung, Korea, where he received his early education. Pursuing his studies and writing career in the United States and Europe, he was a regular contributor to the BBC Third Programme and Encounter in London, and UNESCO Features and France Observateur in Paris. From 1962 until he returned to Korea in 1975, he worked as a children’s book editor and writer in New York. He is a graduate of Hongik University (Fine Arts Course) in Seoul, Korea, and has worked for numerous publishers during the over 30 years building up a strong reputation in the field of children’s literature. He was the editor of Mother and Child, Korea’s leading child-raising magazine. Weiterführende Links zu "Korean Children`s Stories and Songs"
Unser Kommentar zu "Korean Children`s Stories and Songs"
Kundenbewertungen für "Korean Children`s Stories and Songs"